Home / About Wood Pellets / Will There Be Another Pellet Shortage? The most troubling trend we continue to see is the huge volume of pellets being exported to Europe. Much of this volume represents utility grade pellets used to replace coal for generating electricity. 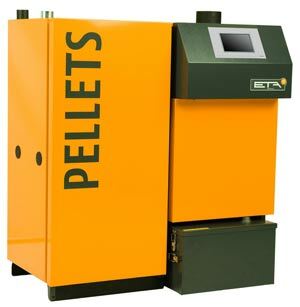 But more and more pellet producers are looking to Europe to sell their residential heating pellets as well. The biggest driver for exporting residential heating pellets is that producers get a higher price from European customers. Thus, wood pellets that used to be sold here in the United States are now being exported to Europe. Another trend that will increase the risk of a pellet shortage this winter is the dramatic growth in new pellet stove sales. This trend started last winter when the price of heating oil and propane began climbing higher. In many cases customers waited months to receive their new stove and have it installed. Many stove retailers are reporting record sales of pellet stoves again this spring and summer. For every new stove installed, an average of three tons of pellet fuel will be burned in that new stove. Taken as a whole, all the new stoves sold this year represent the entire annual production of a large pellet mill. In addition to growing stove sales, another class of heating devices is starting to make inroads here in the United States. Whole house wood pellet furnaces and boilers used to be very rare. With only a few models to chose from and steep upfront costs; many consumers chose cheaper stoves over whole house systems. Today things are much different. Whole house systems have come down in price and consumers have many more brands to choose from. Unlike a pellet stove, many of these pellet boilers and furnaces are completely automated; self cleaning, self feeding, and highly efficient. And rather than burning an average of three tons per heating season, whole house pellet systems can easily burn 6 or more tons each. Furthermore, large commercial pellet systems are also starting to become more attractive to commercial businesses and government agencies. In many cases, these are large projects involving hundreds of tons of pellets burned annually. Finally, the last major factor we see as contributing to the risk of a future shortage involves the pellet mills themselves. As unlikely as it may appear, making wood pellets is highly dangerous work. Explosions and fires are common in the industry – and can be very disruptive to supply. Just this summer a large pellet mill in Idaho burned to the ground; and another mill in Oregon had a large fire that interrupted its ability to continue to produce pellets. And two mills that burned down last winter have yet to be re-built – taking thousands of tons off the market here in New England. So where does this leave the consumer? It’s almost impossible to forecast a shortage. The industry is still too young and inflexible in its ability to scale production with changes in demand. Hardly anyone raised this concern last fall, and yet we saw one of the worst shortages in recent memory. Many wood pellet retailers will appear to have plenty of fuel this fall – and may lead you to believe that the chances of another shortage are very small. But many of these local retailers have been given fixed allocation of pellets – meaning that once they run out – new supplies are not guaranteed. The best way to protect yourself and insure you have fuel for the season is to buy early. There are simply too many unresolved risks to ignore. Buying your fuel early isn’t the only thing you can do. Next month, we’ll outline a few different strategies that will help ensure you always have plenty of fuel when you need it.